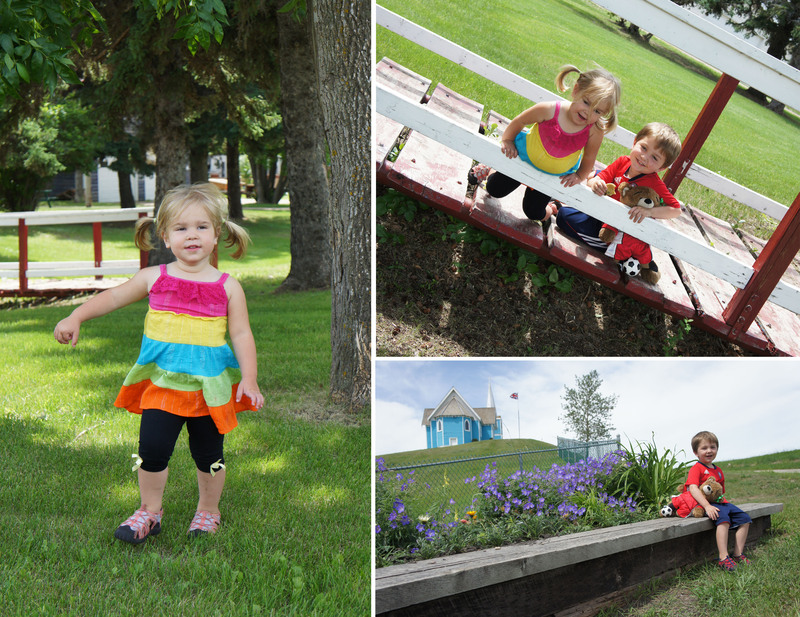 One of my favorite daytrips from Edmonton is to the Jurassic Forest in Gibbons, Alberta. It is quick and easy to get to from the city and is great for both the young and the young at heart. I mean, who doesn’t love seeing giant robotic dinosaurs? It had been a couple years since we last visited Jurassic Forest, and when I saw they had added on a dinosaur themed mini golf course for this year, I knew it had to be added on to this years Summer Bucket List. 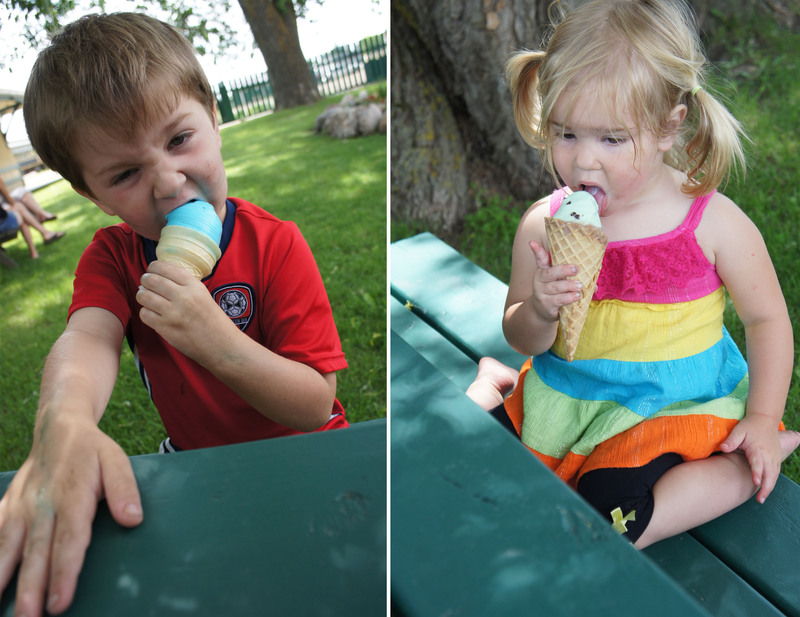 Summer is upon us so I am revisiting and updating our Summer Bucket List. We had a great time last summer and managed to make it through a lot of our list, but it may have been just a bit more ambitious then I expected with two young kids. Quite a few of the items on our list got looked over for long days at the beach and playground. 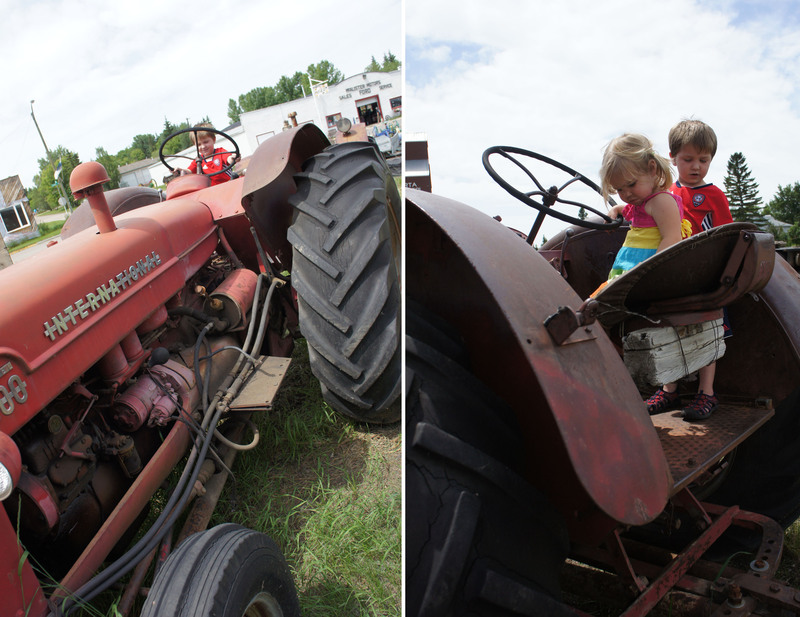 Items carrying over from last year that I definitely want to attempt include getting out to Grandma’s farm to see the new lambs, going for a paddleboat ride at our lake and visiting a U-pick. 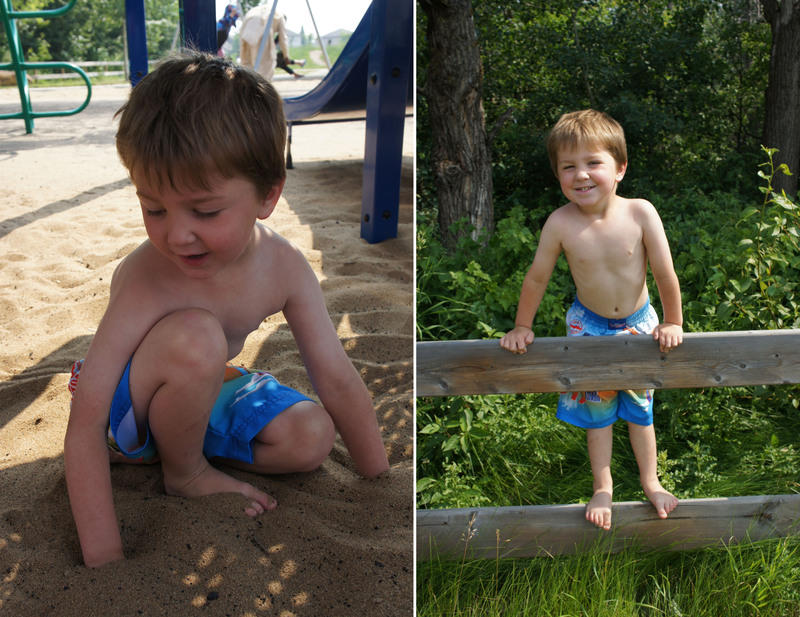 Activities we will be repeating from last year include visits to Fort Edmonton Park and The Edmonton Valley Zoo, beach playdates, exploring new playgrounds and splash parks with friends, and planning another neighbourhood ice cream social. I am also very excited to have my kids each signed up for a summer camp they’ll love – a week of Princess Academy for my 3 year old and Jedi training for my Star Wars loving 5 year old. If you are in the Edmonton area, check out Mudpie Parties to learn more about these great camps. 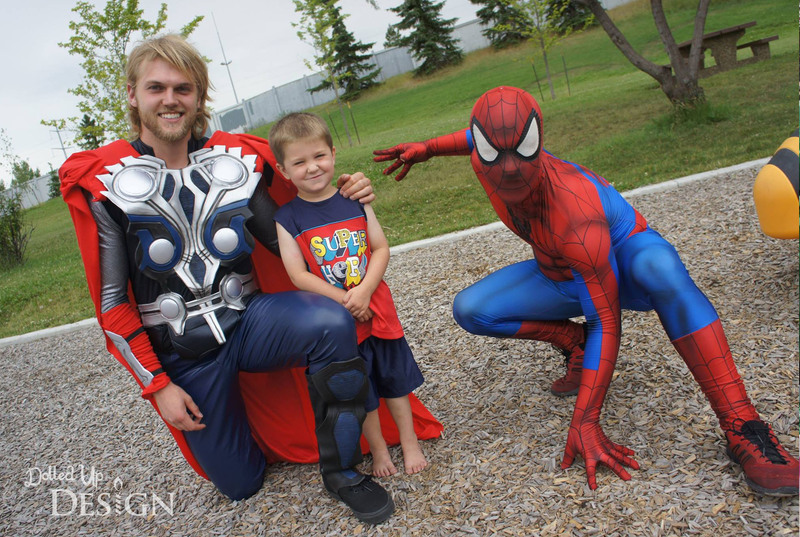 Camden did the Super Hero one last summer and loved every minute of it, so I know they’re going to have an amazing time. I think I am just as excited as my 3 year old to see which Princesses she gets to meet each day! What’s on your summer bucket list? Hopefully our list has helped inspire you to get out there and make the most of these warm summer months! The weather this past week has been gorgeous, which has meant plenty of opportunities to work through items on our Summer Bucket List. 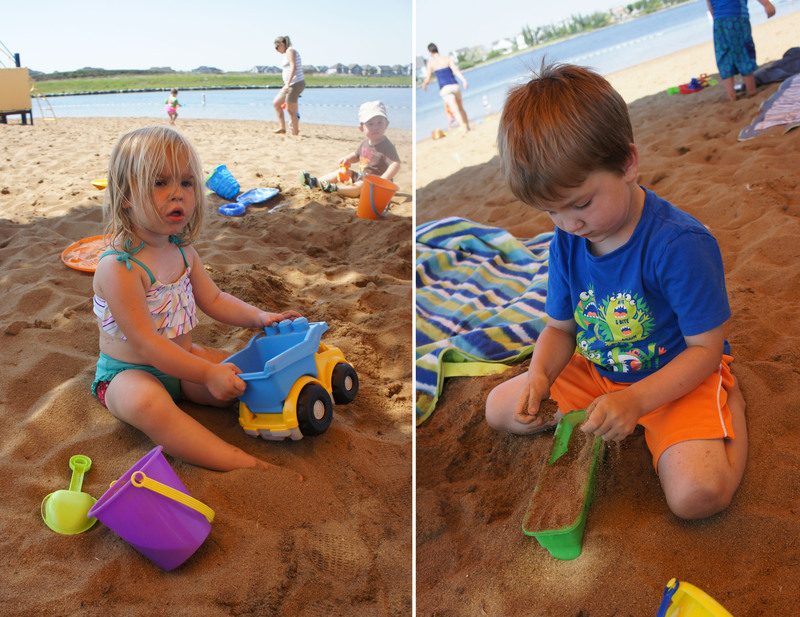 We are so fortunate to have access to the private beach at Lake Summerside just up the road. It is something we do pay for by means of yearly membership fees, but it is a price well paid for the convenience. The closest beach to the city would be well over an hours drive and this lets us be at the beach in 2 minutes! 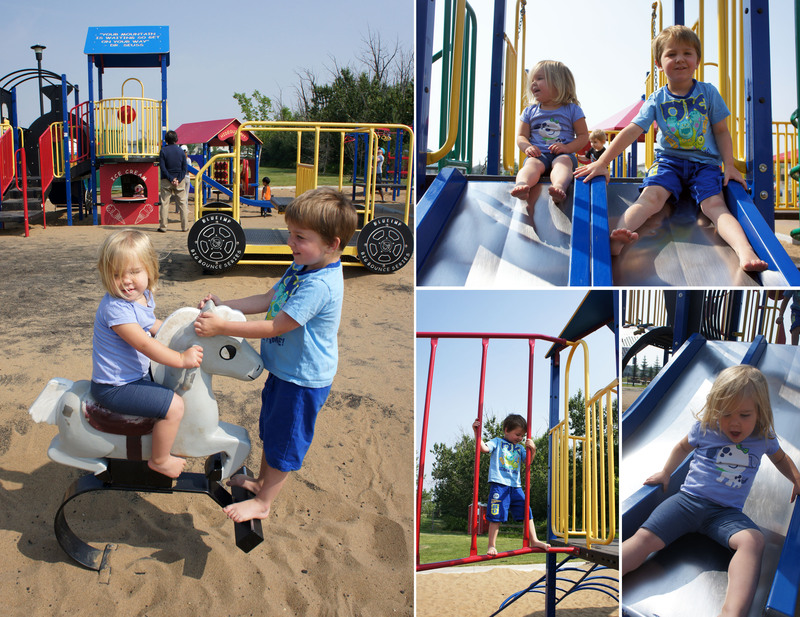 It is a beautiful area with a playground, picnic tables and nice sand for the kids to play in. It would be a shame not to share so we invited a bunch of our friends and ended up spending 6 hours at the beach. I was going to leave sooner, but the kids were all having fun and the highlight of my day was finally seeing my son in the lake with more then just his feet wet! This definitely won’t be the last of the playdates we plan this summer. This list item was one we were able to check off completely by chance. After Camden’s outdoor soccer game a couple weeks ago we decided to take a quick trip to the mall. As we were driving, Camden goes “Mommy, what’s that green thing on your shoulder?” So I brushed my hand on my shoulder, assuming I was wiping off a piece of leaf or grass from the park, then continued driving. “Mom, it’s still there and it’s moving!” EEK! I brushed my hand around my shoulder again and sure enough I felt it and picked off a squirmy little green caterpillar. 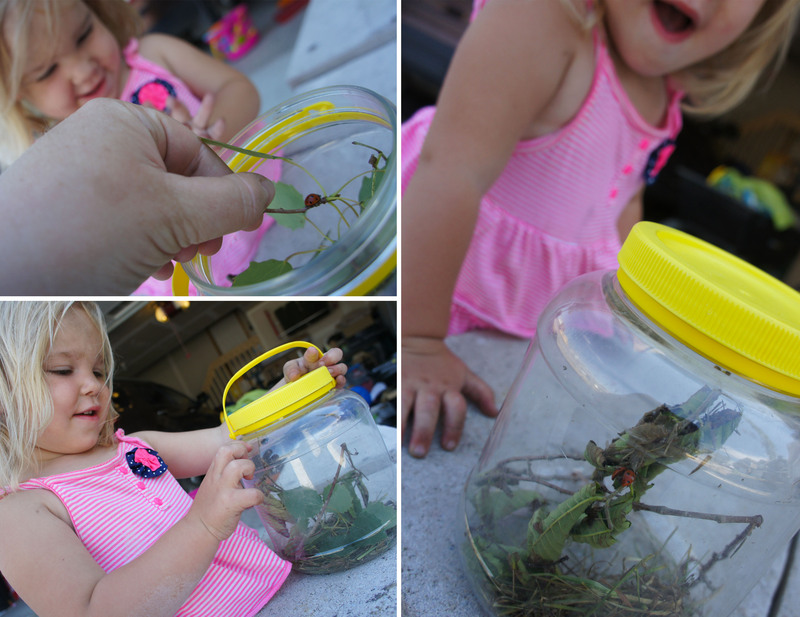 Camden was so enthralled with it that we put it in a small container we had in the car and brought it home. 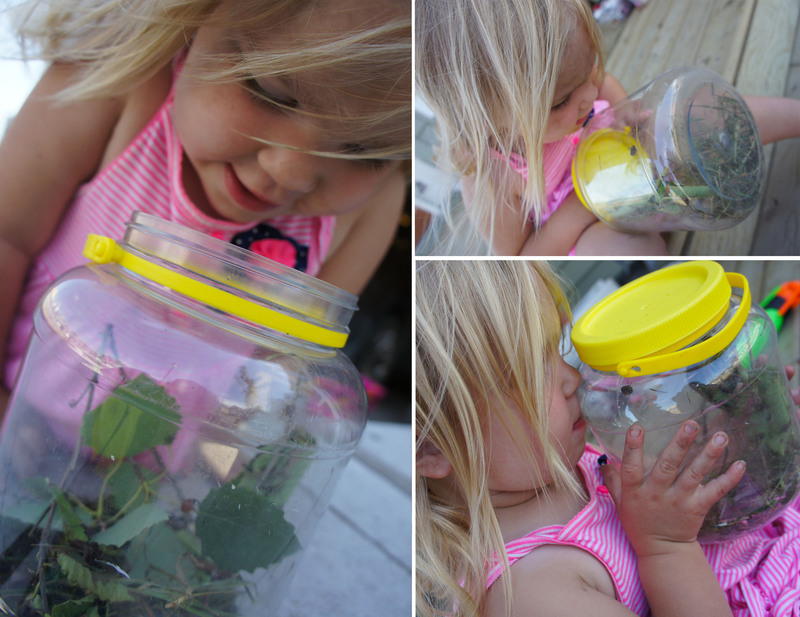 Once home, I found a different container, drilled some holes in it, filled it with greenery and we had “caught” our first bug. The caterpillar didn’t survive long, but the kids have since found a ladybug that they chased all the way across our dirt covered backyard and managed to get in the bug container. He’s been in happy in there for the last week or so and Keira has now happily added the word “bug” to her small vocabulary. There were no playgrounds within walking distance of our old house so last summer we got in the habit of driving to various parks in the area. We frequented a lot of the same parks, but I also tried to switch it up to keep things interesting. I figured if had to get the kids loaded in the car anyway, we might as well take the time to drive and find something new and exciting. We have been walking to the park near our new house quite a bit just because it is so darn convenient, but I decided to set out and find us something new the other day. I chose the park in the subdivision over because I read it had a splash park, but I honestly wasn’t expecting too much. It ended up being a fantastic park with plenty to climb and slide on, a decent little splash pad to cool down at and nice sand to play in. Even though it requires a little drive, it was well worth it and I can see me packing up a picnic to spend a few more afternoons there this summer. 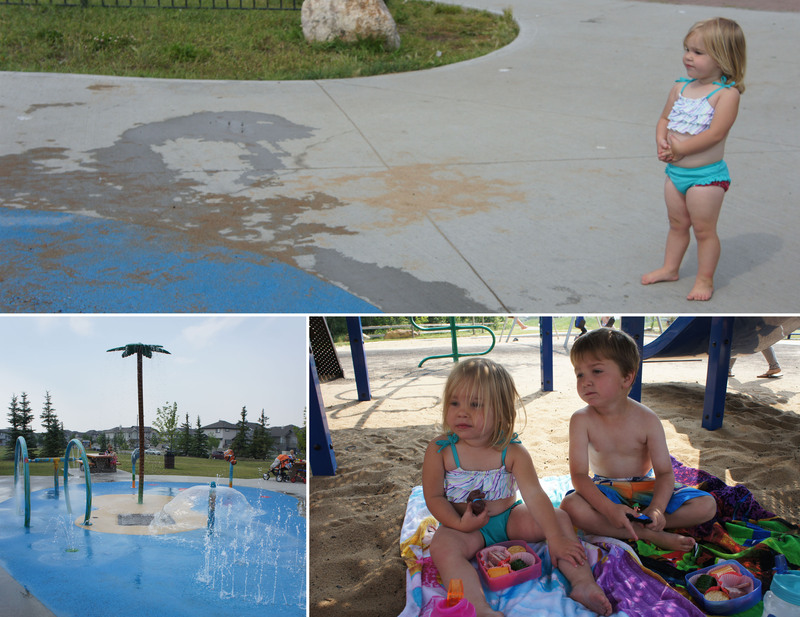 For those in Edmonton, the park we visited was in Ellerslie located at Edwards Drive and 6 Avenue SW.
For a full listing of all the Spray Parks in Edmonton, I found this great list compiled by the city: https://data.edmonton.ca/widgets/jyra-si4k I honestly had no idea there were so many! It also had a great little treed area and fence that I am itching to take the kids back to when they are wearing more then just their swimsuits and try to get some nice photos. 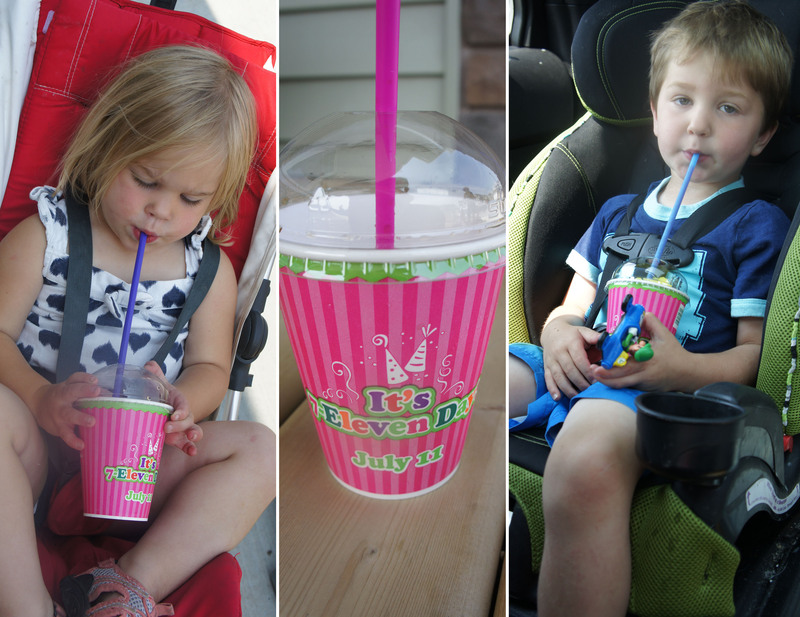 And that day also happened to be 7-11’s Birthday that day so I scored major mom points by stopping on our way hope from the park to take advantage of the free small slurpees! 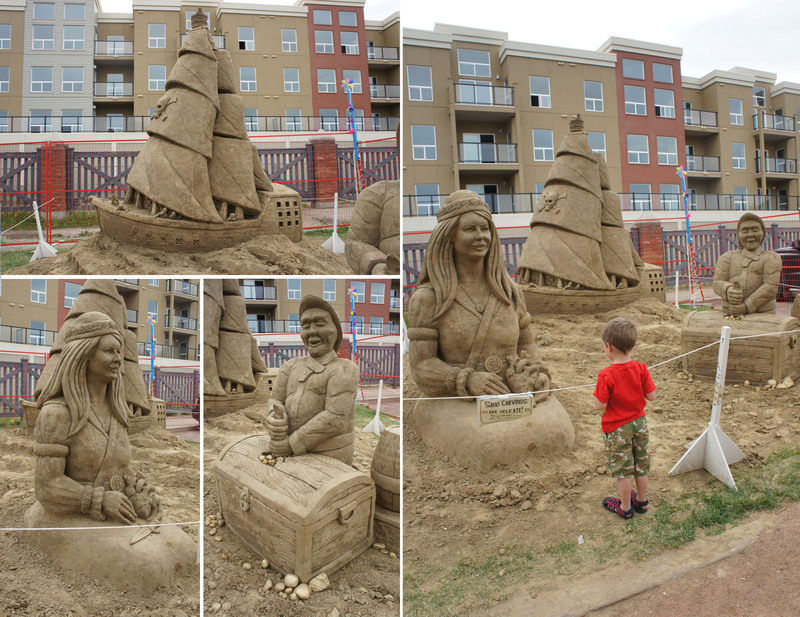 One other activity we did last week was to check out the Sand on Whyte Festival. I will be honest and say that I was kind of disappointed that it was just the three sculptures, but the three sculptures that were there were pretty impressive. It was free and gave us an excuse to get out of the house, so all in all it was worth the trip down Whyte Avenue to check it out. Hopefully there will be more to see next year as the festival grows! This week looks to be another gorgeous week weather wise so hopefully we can knock another few items off our bucket list! It is supposed to be around 30 degrees on Wednesday so I am really hoping to swing that trip to an outdoor pool. Remember to check back to the blog for updates on all the fun things we are doing this summer. Doll’s Aboard the Teddy Bear Special! 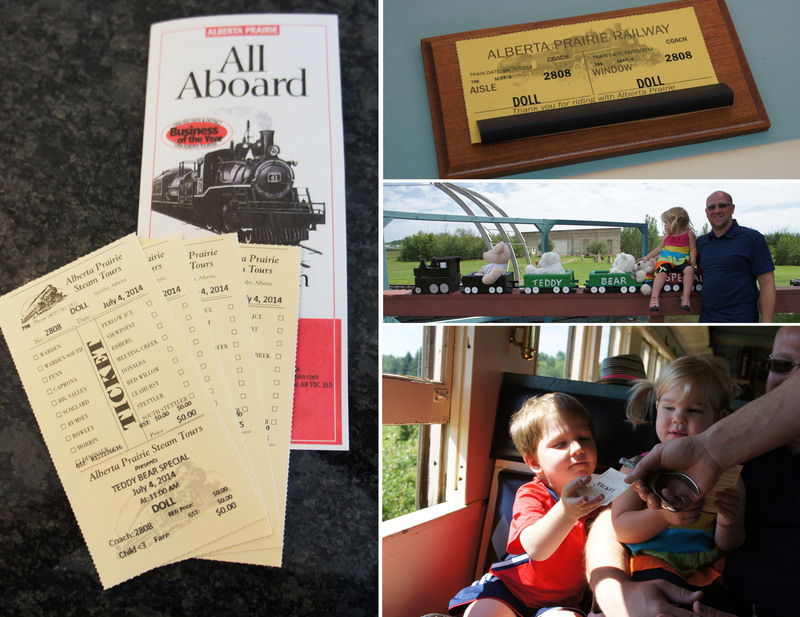 On July 4th we had the pleasure of travelling with Alberta Prairie Railroad Excursions aboard their Teddy Bear Special. We have no trips or holidays booked this summer so I booked a few months ago thinking it would be a nice treat for the kids (and us adults!). I was a little hesitant to book because of the price, but as you will see, the $200 was totally worth it for what we got out of the day. 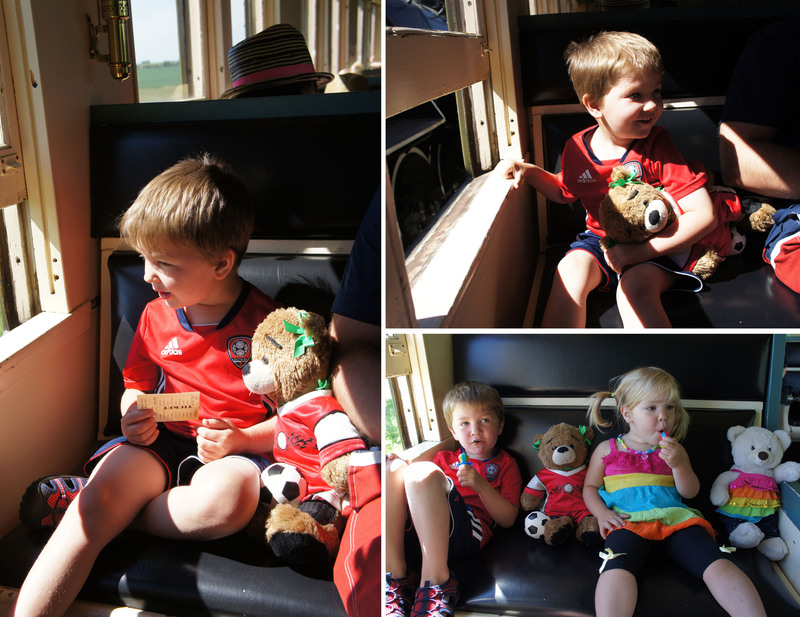 Because we were riding the Teddy Bear Special, the kids were asked to each bring a teddy. As an activity earlier in the week, I decided to take the kids to West Edmonton Mall to pick out an outfit for their Teddies at Build-A-Bear Workshop. My son was disappointed they didn’t have the How to Train A Dragon hoodie he had seen on the website, but there was so much selection in the store that it wasn’t hard to find something he liked for his teddy. 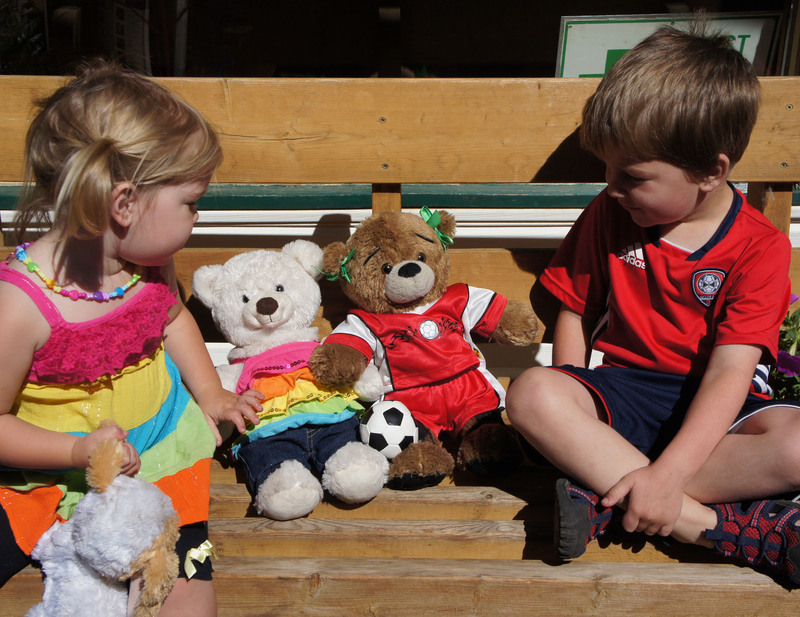 He quickly settled on a soccer uniform for his bear, while my two year old zoned in on the stuffed dogs. Luckily I was able to convince her she didn’t need yet another stuffed dog, and we went with a rainbow striped top and jeans for her bear. 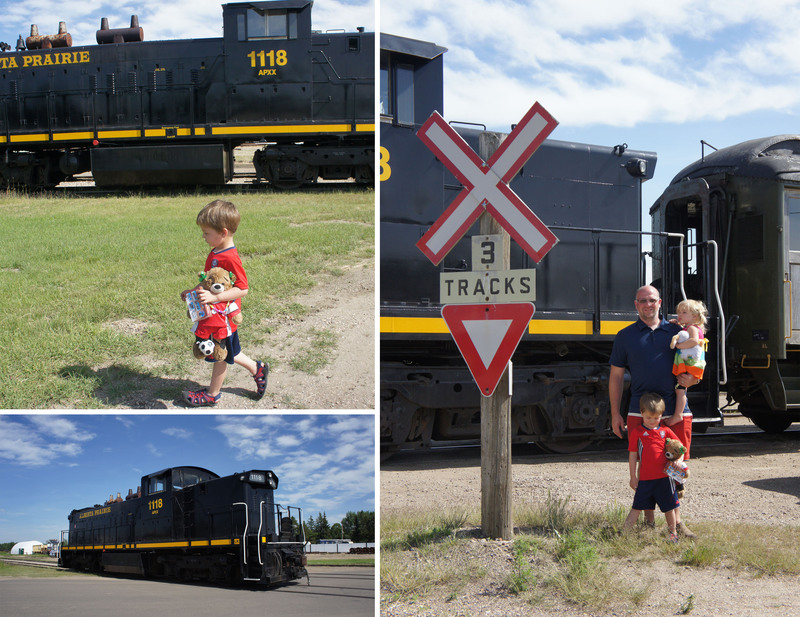 We boarded the train in Stettler, after a quiet hour and a half long drive in the car from Edmonton. Thank you iPads and sleepy children! Inside they had our names labelled above our seats and the kids quickly settled in with their teddies, excited to get their tickets punched and begin the journey ahead. I was surprised how happy my two year old was just staring out the window and watching the scenery. 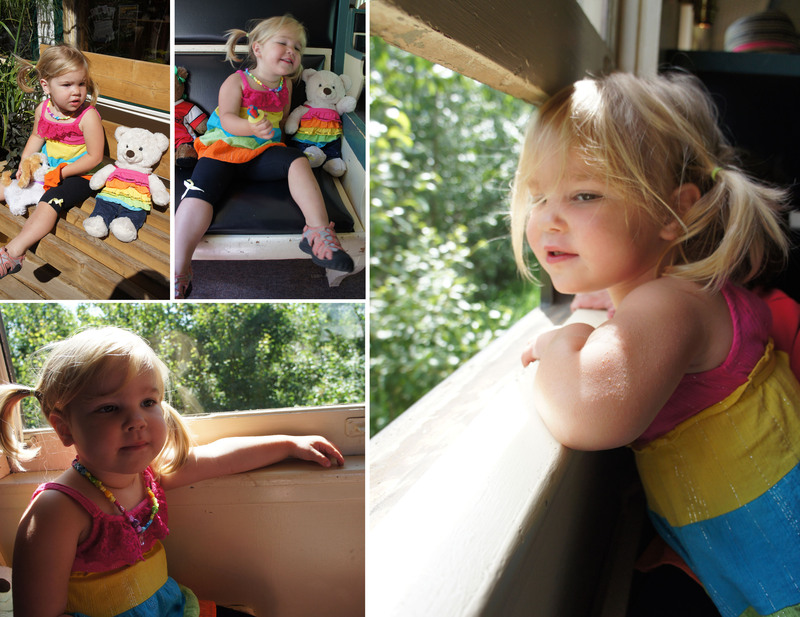 I thought she would be fidgety and bored on the actual train ride, but she was fascinated by the farms, vehicles and cows passing by. 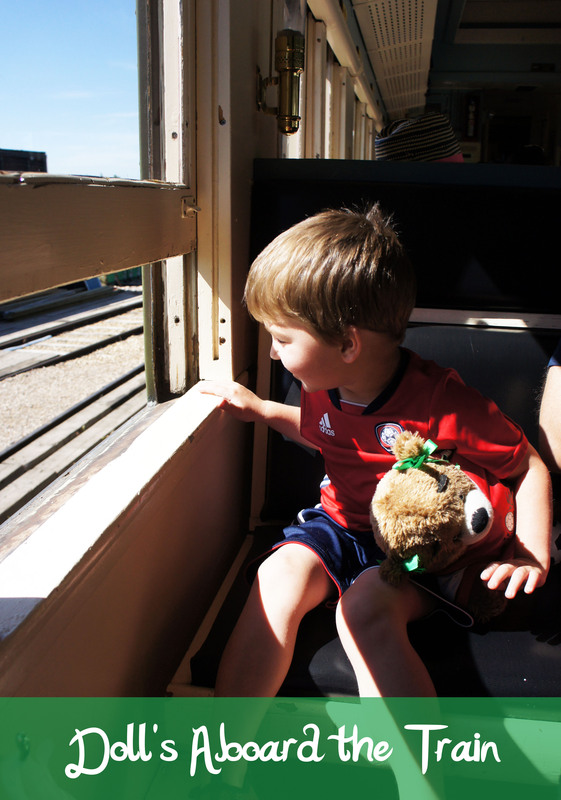 It also helped that, once moving, we were able to get up and explore the entire train. It was longer then I was expecting with passenger cars, an open air car for viewing and two concession stands. As a treat, the kids each picked a Ring Pop and we shared some popcorn to tide us over until lunch time. Our train’s destination was Big Valley. There they had a roast beef lunch waiting for us at the community hall, which we quickly ate and then set out to explore the village. 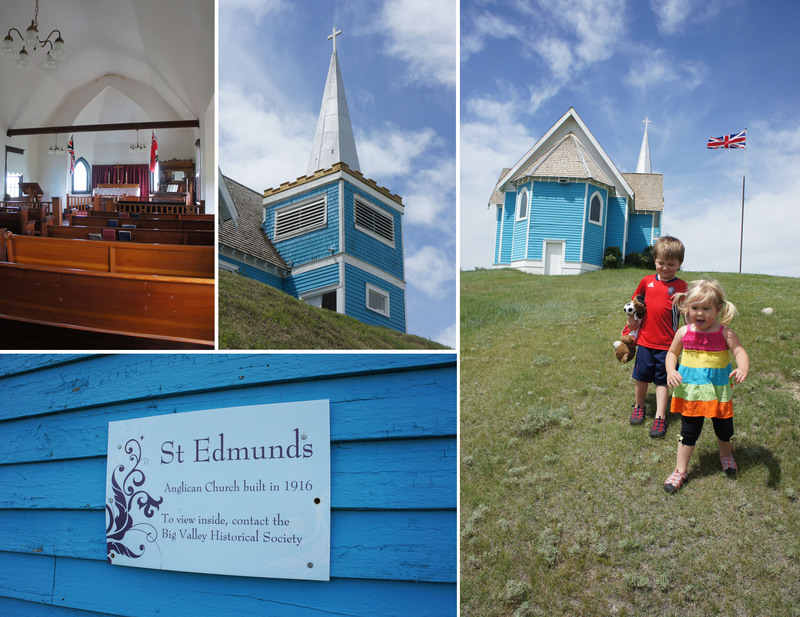 Up the hill was a beautiful historic Anglican Church built in 1916 that we were able to go in and view. Back down main street were some neat little shops filled with handicrafts, fudge, fresh baking and ice cream. And because our outings don’t seem to be complete without ice cream, Camden suckered daddy into a cone of Bubble Gum Ice Cream for himself while Keira repeatedly swiped dad’s mint chocolate chip waffle cone. After a quick clean-up from the ice cream, we still had time to go for another small walk and explore some of the old farm machinery. 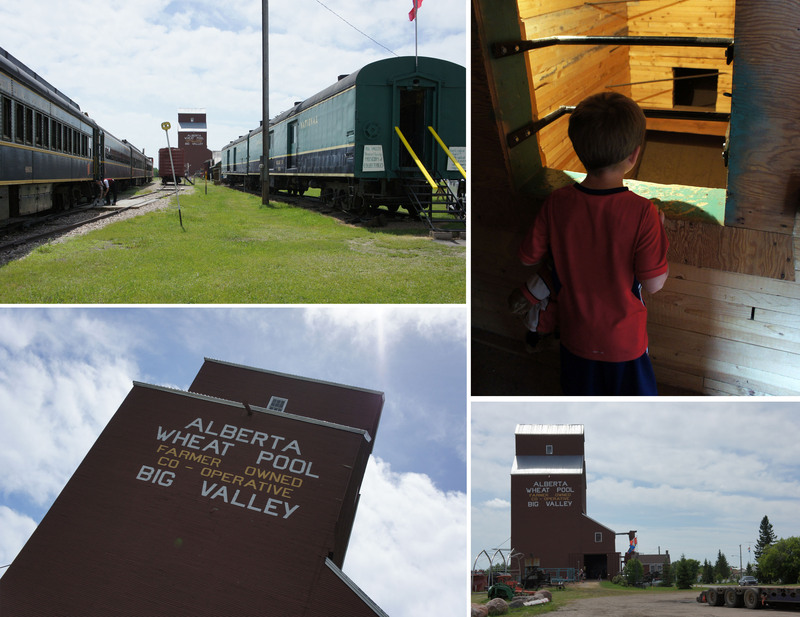 We were also able to go right inside the Big Valley grain elevator which I found kind of neat. I don’t think my farm raised husband was near as fascinated. There were a couple other historic buildings and small museums nearby we didn’t get a chance to explore because it was then time to head back to the train station for the Teddy Bear parade. The clowns lead us for a small walk down main street so we could show off our bears, and then it was back onto the train for the return journey to Stettler. As an added touch, each kid received a small Beanie Baby as their prize for participating in the parade. 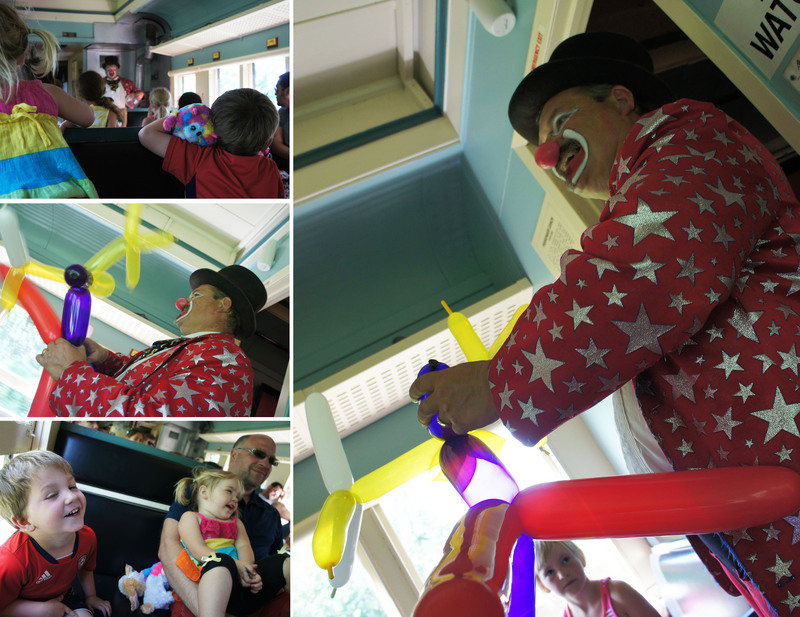 Back on the train, I also got a flashback to my childhood when this guy entered our train car to entertain the kids. I remember Rosco the Clown being at a few of my friends birthday parties way back when I was in elementary so I was surprised to see it was indeed him. I think he was still doing the same tricks and his jokes were just as corny as ever, but he sure knows what he is doing because he had my two kids laughing their little butts off. 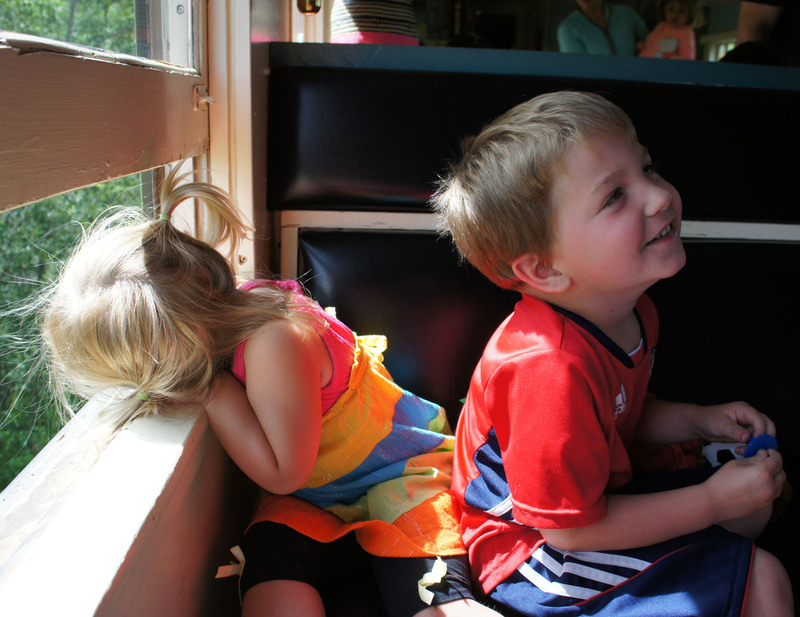 It was a beautiful day for a train ride and I was surprised how much both my kids enjoyed it. 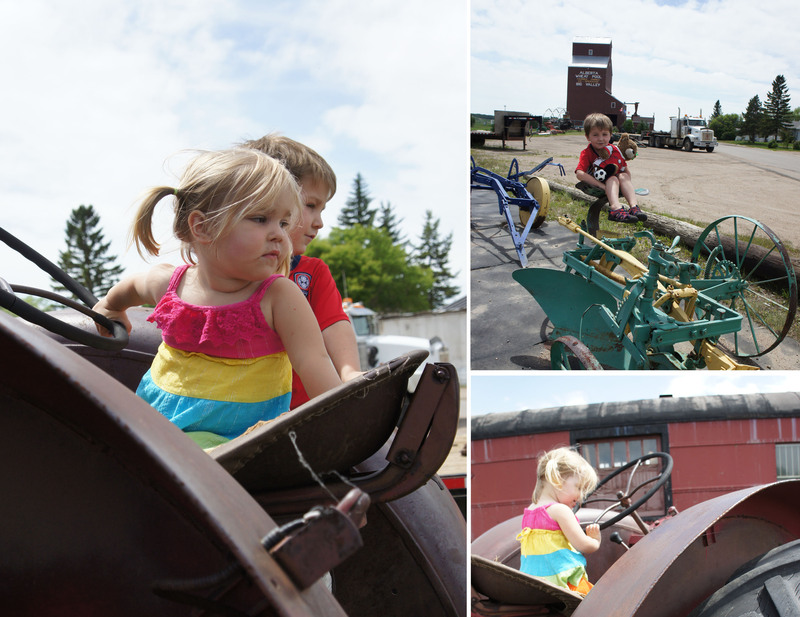 The staff from Alberta Prairie Railway were amazing and everything was well thought out and planned to keep the kids entertained and happy. They run several different rides throughout the summer, with some of the more adult focused journeys even involving train robberies. 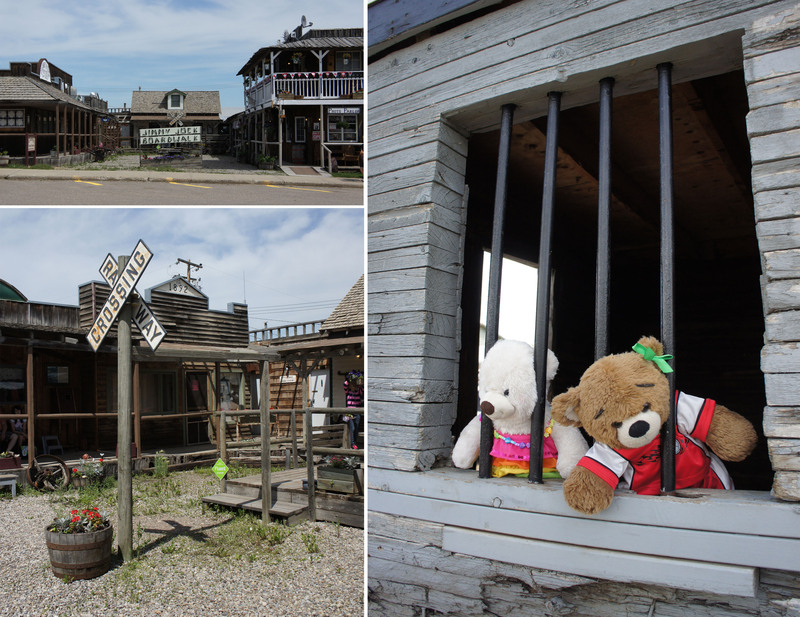 The village of Big Valley had a lot more then I was expecting and there is definitely something to be found for all ages. 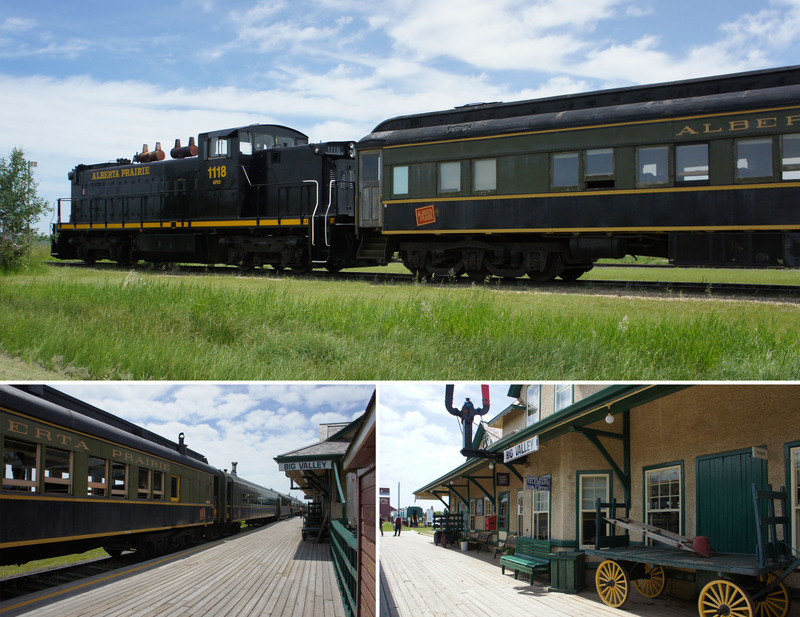 If you ever plan to be in the Stettler area or are looking for a fun daytrip within Alberta, definitely check Alberta Prairie Railway Excursions out! 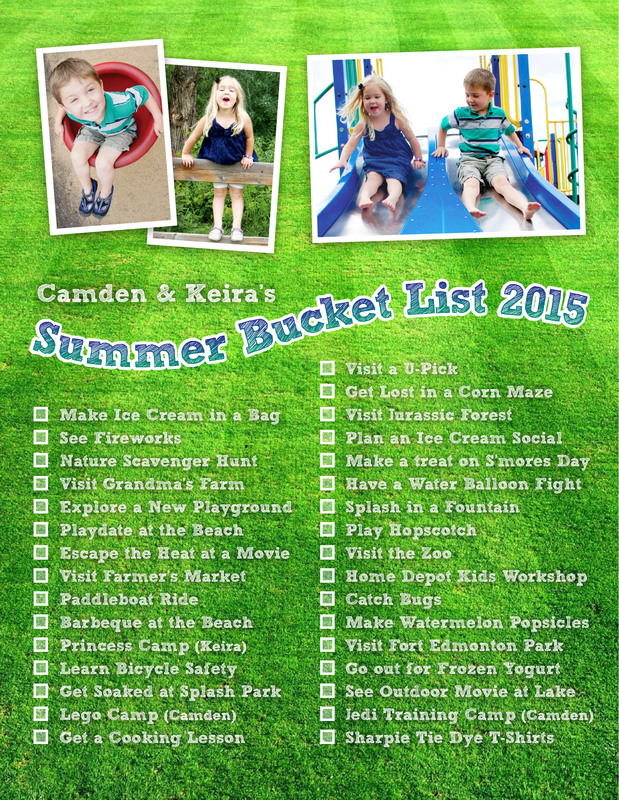 Check one more off our Summer Bucket List! Tuesday was our Nation’s holiday and we celebrated the hot summer day with a combination of activities. 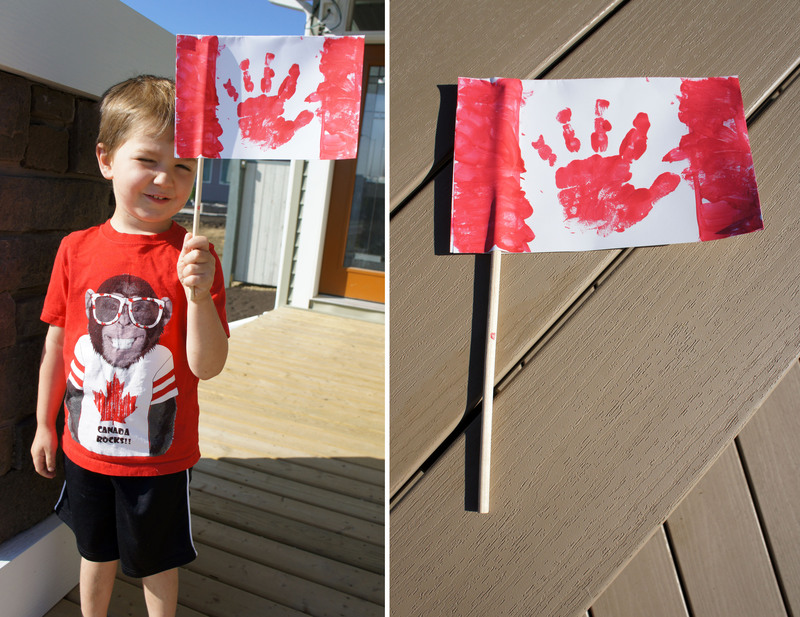 The day before, Camden and I did a quick handprint craft so that he would have his very own flag for Canada Day. It was quick and easy and he seemed quite proud of how it turned out. My husband has had the week off work to work on the yard. He had been making good progress on the patio pad and retaining wall, so he went back to work first thing in the morning before the sun got too hot. 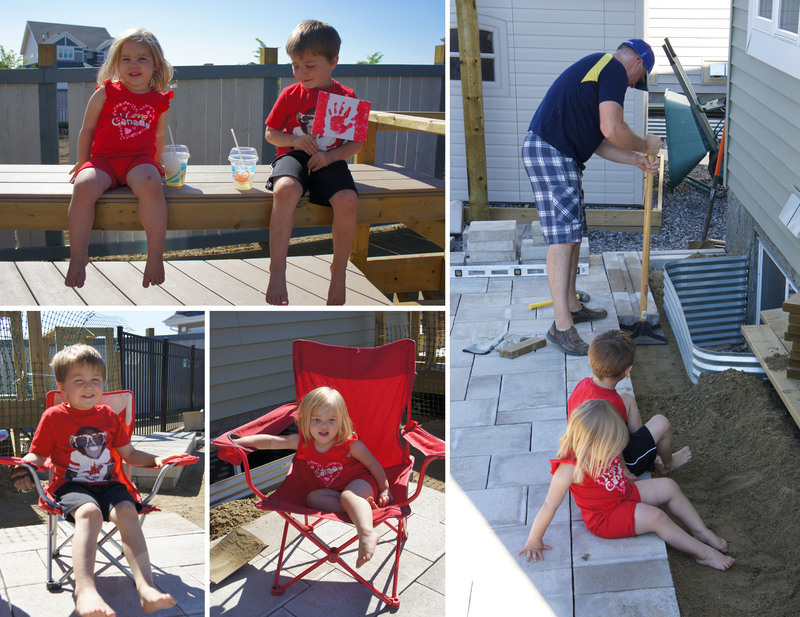 The kids and I “helped” by pulling out the camping chairs on the new patio pad to test out daddy’s hard work. 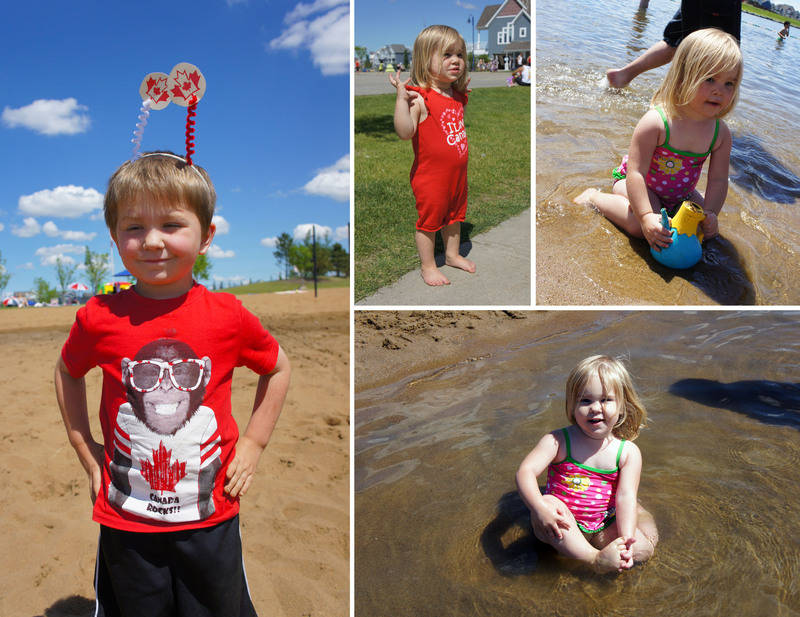 Around noon we decided to make our way down to the private beach in our community to check out the Canada Day activities they had. After waiting in line for some fun in the bouncy castle, Camden made a cute headband craft and we enjoyed a picnic lunch. Then it was down to the sand so my little beach baby could enjoy some time in the water! The beach wasn’t nearly as crowded as I expected and I love that we can be at the lake with just a quick drive down the road. Camden is not a huge fan of the water, but Keira would spend all the day at the lake if we let her. To wrap up the day, both kids got the chance to see fireworks for the very first time. Check one more item off our Summer Bucket List! I wasn’t sure they’d hold out that late, but they were still awake at 10:30 so we got them into their jammies and loaded up them in the wagon to make our way back down to the beach. To avoid crowds we didn’t actually go into the gated beach area this time, and found the perfect spot in an empty house lot directly across from where the fireworks were being set off. 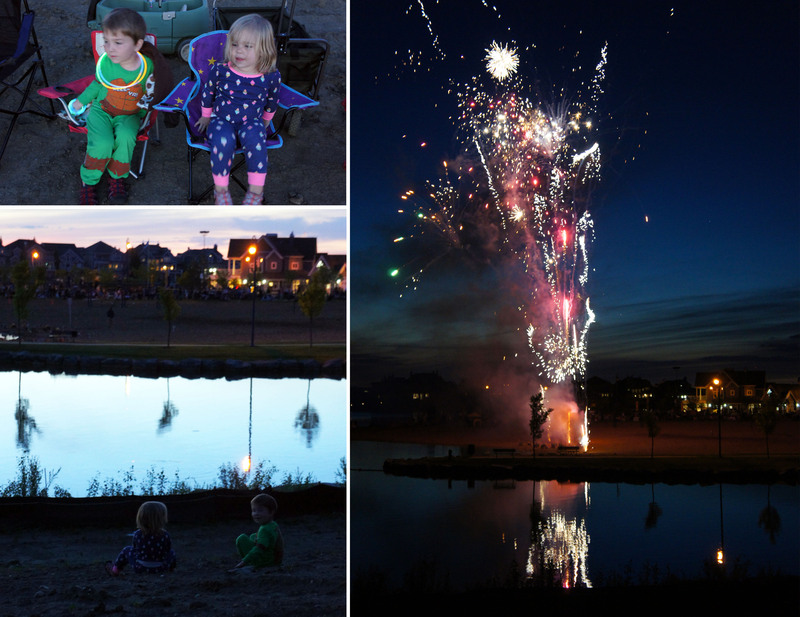 Both kids seemed to enjoy the fireworks (from the safety of mom and dad’s laps) and it was the perfect ending to our Canada Day.